I did, for sake of authenticity, but you don't have to. A 90 minute should be fine. 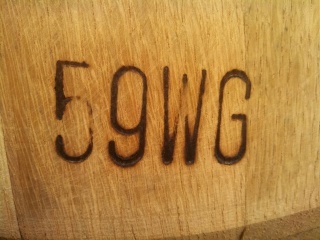 I was informed you may be looking for willing participants to help fill the barrel. I'm in if there is still room. I trie the sign up form but it was no longer avalable...I am assuming you may have met your quota. Ryan said you wanted in so he took care of your order. Do you really boil 3 hours? 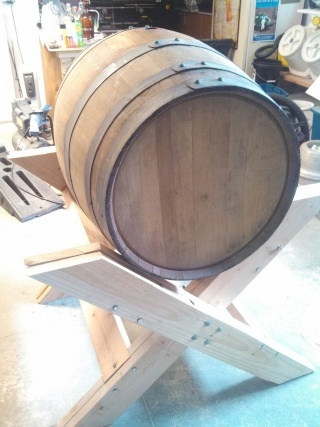 There's a sign up link between the end of my wall of text and the first pictures of the barrel on my first post. Let me know if you find it okay! Sign up is live, please fill out the form as soon as you can. We will be doing 5 gallon brew spots, until full, or until the sign up date runs out (April 24th).If we don't fill all the space by that time, any interested folks can sign up to do 10 gallon batches. There's going to be an online form to submit, which Randi is working on and will be live shortly. Once we get enough sign-ups, we'll probably post a list of brewers and their amounts to be provided. As far as ingredients go, we don't have any plans for a club bulk order for everything unless necessary, but we may order in a bag of 6 row since most people don't keep that on hand. Are we going to buy bulk supplies and just pay the club back? Is there a list of brewers? I am in for 10 Gallons if there is room. Total Grain Weight: 12 lbs Total Hops: 3.00 oz oz. In order for our participants to complete their brews on time for the June 6th barrel fill date, we recommend the beer be brewed between May 1st and May 11th. The filling event will be at the Philleo household, coinciding with the June meeting, so please be there. 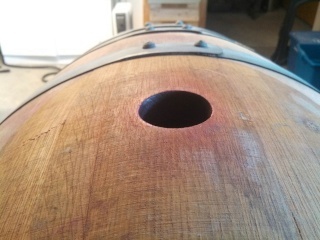 We plan to fill the entirety of the barrel at one time, so we can't make alternative meeting arrangements. However, you may have another member you know is attending bring your completed beer if necessary. If anyone has difficulties with the ingredients in this recipe, you may contact me anytime for suggested substitutes if you aren't sure which approach you'd like to take. Partial mash and extract version of this recipe can be provided as necessary, too. Finally, our goal is to have a 5 gallon keg of this beer available at the Oktoberfest this year. When you fill out the sign up form make sure you note if you are willing to contribute a little extra for this. Furthermore, anyone who is participating in this brew may also opt to have a small amount (i.e. 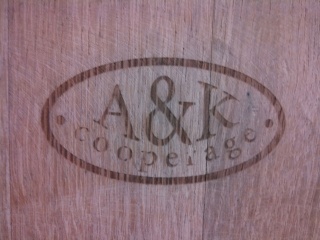 .5-1 gallon) to contribute toward a 5 gallon total that will be aged as a sour Biere de Garde in my smaller sour barrel. Please note this as well when you sign up. I will post the totals needed for contribution once all the signups are complete. If you have any questions regarding any of this, please post them here. Thank you all in advance for your participation!